Exposure Switch: Detachable hand switch, two position, prep and expose. X-Ray Tube: Stationary anode, 100 kVp. Filtration: 2.7 mm of aluminum at 100 kVp (min.). Anode Capacity: 30,000 heat storage capacity. Focal Spot: 1.0 mm (NEMA). Collimator: C ol l i mar e® CP-100-24-C Certified manual. Lamp Source: 30 second timer. Tape Measure: For SID distance. Generator Type: High frequency inverter, 1.25 kilowatt output. kVp Range: 50-100 kVp continuously adjustable, with 1 kVp resolution. mA Range: Fixed, 12.5 mA, constant independent of kVp or time settings. Indicators: Ready, x-ray on, digital display of kVp, mAs and time. Filtration: 2.7 mm of aluminum at 100 kVp(min.). Anode Capacity: 25,000 heat storage capacity. 25.W, 52.L, 27.H (64 x 132 x 69 cm). 52.H, 25.W, 27.L (132 x 64 x 69 cm). 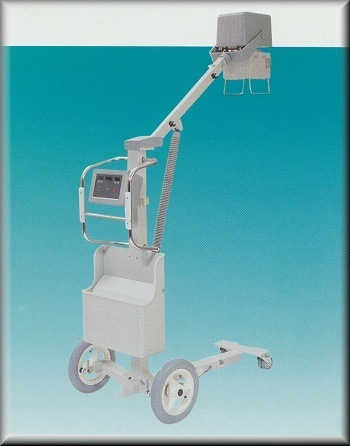 The DynaRad HF-110A and Phantom portable units are being used world-wide in diverse settings such as home health care, rural hospitals, Pediatrics wards, private practices, sports facilities, correctional facilities, cruise ships, ski lodges, military applications and morgues in the United States and World Wide. inherent in the DynaRad portable units. sold under the DynaRad name. 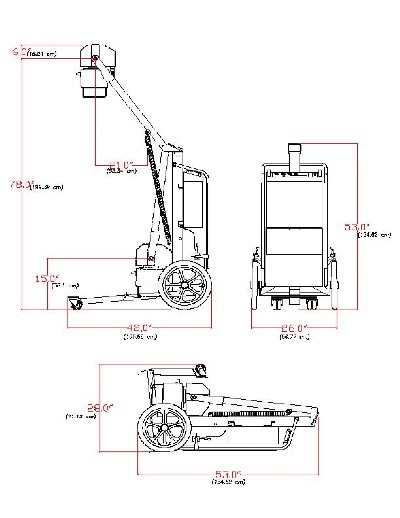 Meeting the challenges that transcend the most demanding mobile radiology programs found in the U.S. and overseas required more than the lightweight construction and limited support stands typically offered in portable units. DynaRad/Del Medical Systems Group took on the challenge to design a robust frame construction to withstand heavy use. 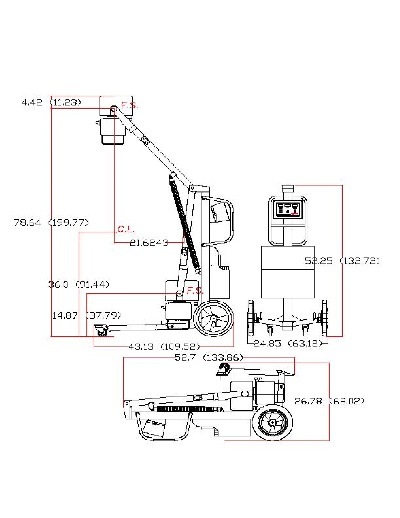 The units fold into a small, self contained package that can be set-up easily. The ability to fold the unit is extremely important to meet the need to reach non-ambulatory challenged patients out of the hospital environment. 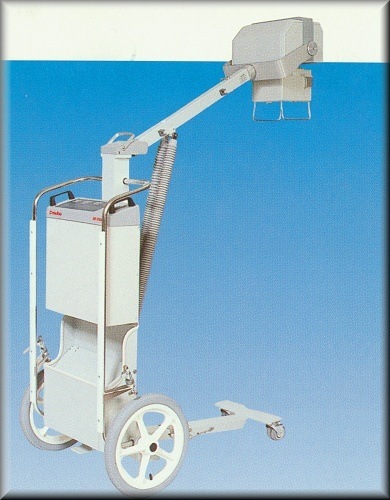 The user-friendly control allows the operator to obtain diagnostic images under primitive conditions.